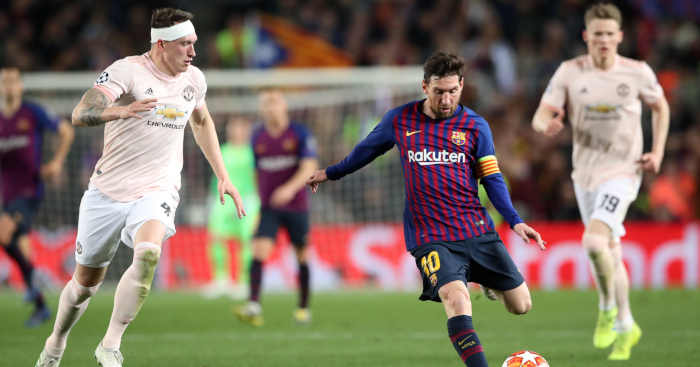 The thought of Lionel Messi running at Phil Jones struck fear into the hearts of plenty of Manchester United fans when the Red Devils were drawn against Barcelona in the Champions League quarter-finals – and so it came to pass as the little magician ran riot in the Spanish outfit’s 3-0 second leg victory. Despite Barcelona being below par in the first leg at Old Trafford, a Luke Shaw own-goal saw the Catalan giants take a 1-0 lead back to the Camp Nou. And any hope of a United comeback was quickly vanquished by Messi, who opened the scoring with a brilliant goal in the 16th minute before adding a second four minutes later thanks to an error from David de Gea. Former Liverpool man Philippe Coutinho bagged a third in the second half, but we couldn’t stop thinking about the moment in the first half when Messi was given the chance to run at Jones – and the outcome was exactly as you’d expect.